Lead crystal, (also called crystal), is Lead glass that has been hand or machine cut with facets. Lead oxide added to the molten glass gives Lead crystal a much higher index of refraction than normal glass, and consequently much greater “sparkle. Now get the lead glass with different size at best rate. Thickness 6mm, 8mm & 10mm. 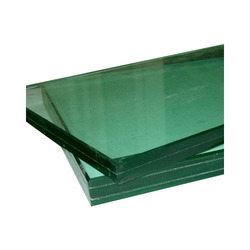 MAVIG lead glass is made of premium radiation protection glass, protection quality “S according to DIN 6841. Our lead glass and lead acrylic glass also exists in special formats and several lead equivalent values and glass thickness. Sparkle Metal Works Pvt. 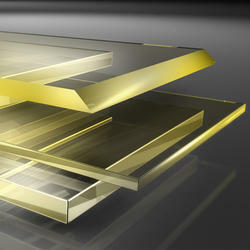 Ltd.
We have gained a remarkable position in the market that is involved in offering Acid White Crystal Glass. Banking on the individual requirement of the clients, we offer an exceptional array of Lead Glass that is dimensionally accurate in nature and maintains durable finishing standards. They are delivered in varied thickness and are used in light and heavy duty industries. Lead Glass ensures quality finishing.